This month’s competition is FUN WITH FOOD! Candidates & parents please encourage your children to take part and to come up with interesting and yummy recipes to share with us all. 4. Send your recipe and picture to us! The most creative recipe will win! 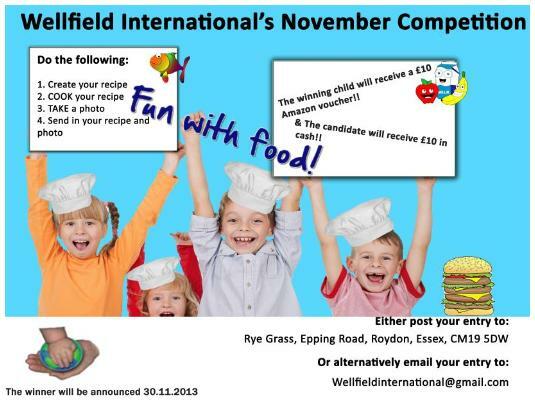 The winning child will win a £10 Amazon voucher, and the candidate will receive £10 cash!!!!! Have lots of fun, we can’t wait to see all of your exciting recipes!!!! Previous Previous post: October competition winner!!! Next Next post: November Competition Winner!! !